Two more from Chaos, 1991. I scanned them at the same time as I did this earlier piece, not knowing that I would be using them for his obit. I wanted to use a piece by Moebius in the anthology, and from what I heard he was quite willing, but we were never able to reach a deal financially with his management. 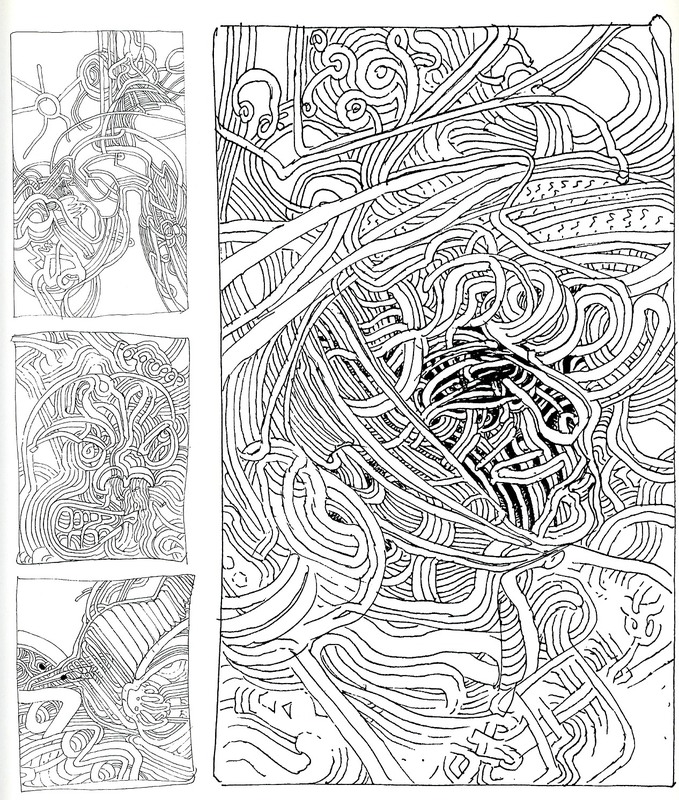 In any case, among all his other achievements, about which you can read many other places on the web today, he was also a pioneer of abstract comics. I wish we could have acknowledged him as such by including him in the book alongside Crumb, Moscoso, Bill Shut, and all the other early experimenters in the form. 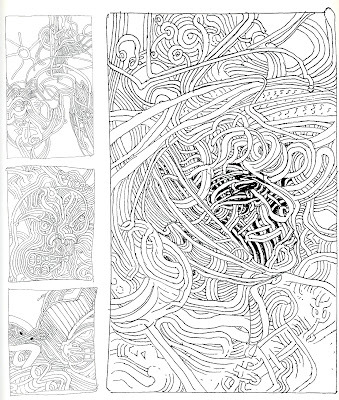 Here is another post about Moebius and abstraction. "Taking Advice From Bryan Lee O'Malley"